Easter is nearly here. This Sunday, March 27th, it’s time to celebrate a time of new growth in the natural world around us and even in our own personal development or faith. You may be gathering with friends or family or you may be looking to send someone special an Easter gift to remind them you are on their mind. 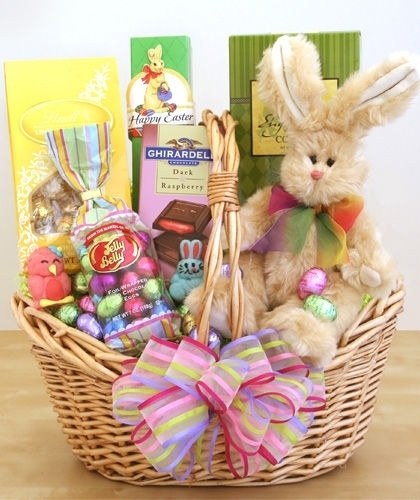 At our Atlanta flower shop and through our online website, you can find a wide range of special Easter flowers, Easter centerpieces, Easter baskets and special Easter gifts. 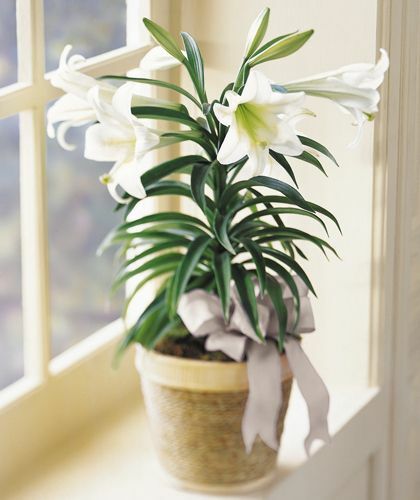 The Easter Lily is a traditional Easter symbol that makes a great gift for an Easter brunch host or a loved one. 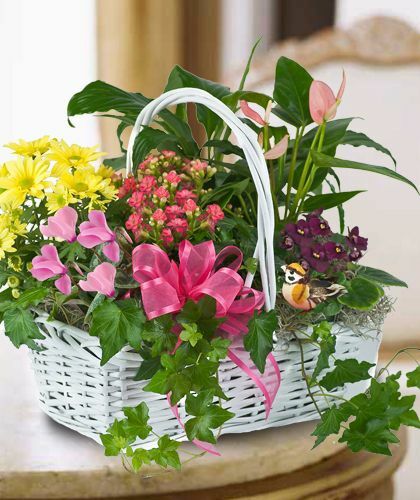 Our Easter Lily comes in a basket with a special holiday bow. 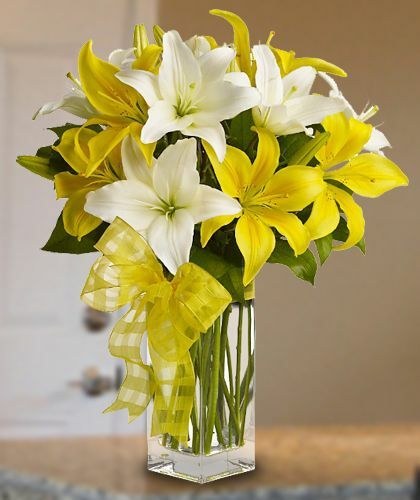 Spring Lilies are another symbol of Easter, and this one offers bright colors in a clear glass vase. 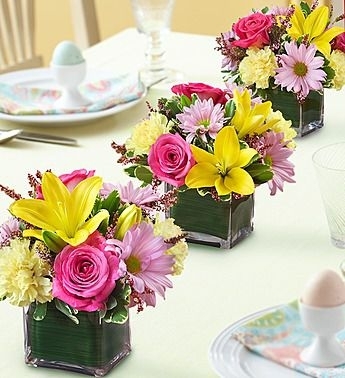 Easter centerpieces are a great way to decorate the Easter buffet or dinner table. 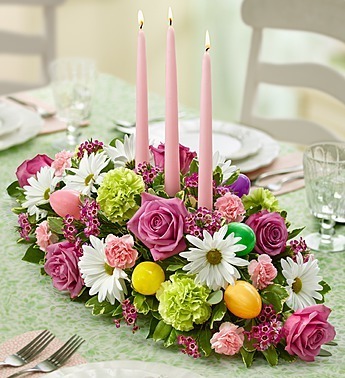 Our Spring Easter Centerpiece with Candles features spring flowers, plastic Easter eggs, and three taper candles. 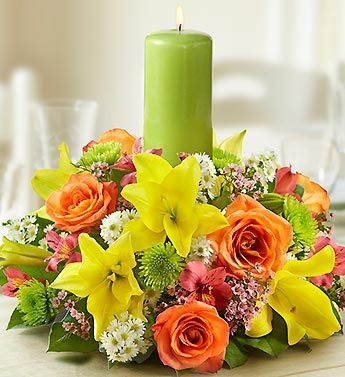 This particular Easter centerpiece fits table settings for six or more people. The Spring Centerpiece Trio offers three spring centerpieces in glass cubes that can be displayed together or individually. The Spring Pastel Centerpiece with Candle includes waxflower, alstromeria, lilies, poms and roses along with a pillar calendar. Everyone loves Easter Baskets full of goodies. We have many styles and sizes to chose from that offer chocolate bunnies, candy Easter eggs, plush Easter symbols like bunnies and more. Besides baskets of goodies, we also have many blooming gardens that come in baskets, such as the Sweet Bird Blooming Plant Garden with many colors and textures. Many of these Easter items are now on sale while supplies last. We deliver these Easter flowers and gifts throughout the Atlanta area through Saturday, March 26th. Many of these Easter gift and décor ideas are also available for national delivery through our network of florist partners. We recommend calling, visiting our Atlanta flower shop, or ordering online today!